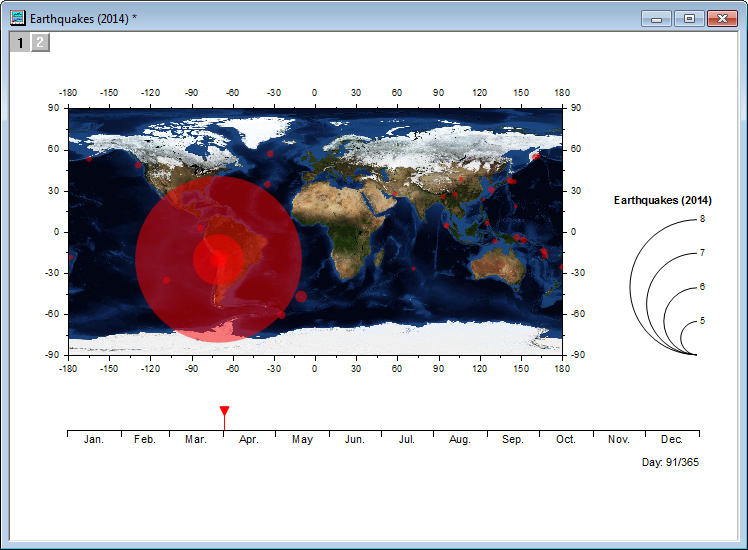 Fetch map image from a WMS server and place as background image in a graph. 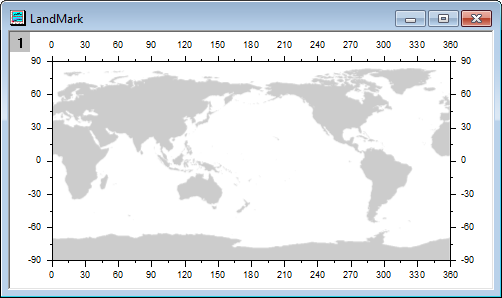 This App fetches map images of a given longitude and latitude range from a WMS server. The map is then inserted as an image into the active graph layer. Multiple layers of maps can be combined and inserted. Download the file Maps Online.opx, and then drag-and-drop onto the Origin workspace. An icon will appear in the Apps Gallery window. Click the Maps Online icon to open the dialog. Select a map source from the Map Source drop-down. You can click the + button next to the drop-down to add a map source. See examples below. This app is shipped with one map source for demonstration. To update the map sources, you can click and choose About ? Update Service List. Select a map layer from the Layers drop-down. To insert multiple layers of maps, click the + button next to the drop-down and select the desired layers. 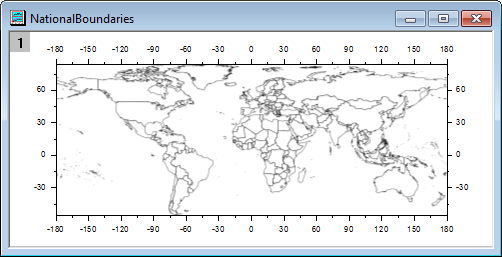 Latitude and longitude boundary values for the map are automatically entered into their respective Area edit boxes. To use the axis scale values of the active graph layer (dimmed if a graph window is not active), click the button. Click and choose to Load Into a 2D Graph or Matrix. If you opted to load into a matrix, the image will be imported into a matrix. If you opted to load into a 2D graph and a graph window was active when launching tool, the image will be placed in the active graph layer. If you opted to load into a 2D graph and a graph window was not active, a new graph window will be created. 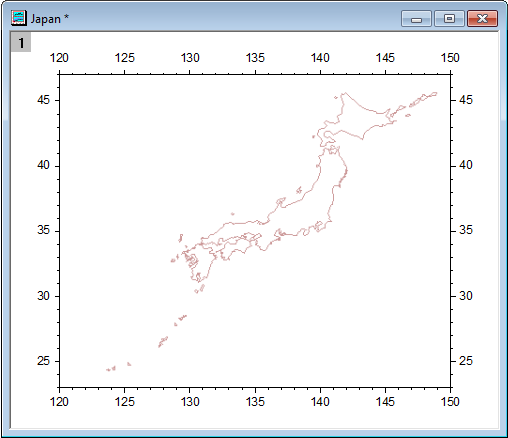 NOTE: The graph layer is automatically resized to maintain the correct aspect ratio for the inserted map image. Press F1 when dialog is open, to view documentation. Several examples are provided below as well. Note: The server provided for the Map Source may sometimes be down for a couple minutes/hours or the URL may change. If this is the case, an error message will appear when selecting the map source. You may need to edit the URL source over time. Save the ini file. And the added map source will be shown in Map Source drop-down list. You can type %@A= in script window to quickly locate your Apps main folder. 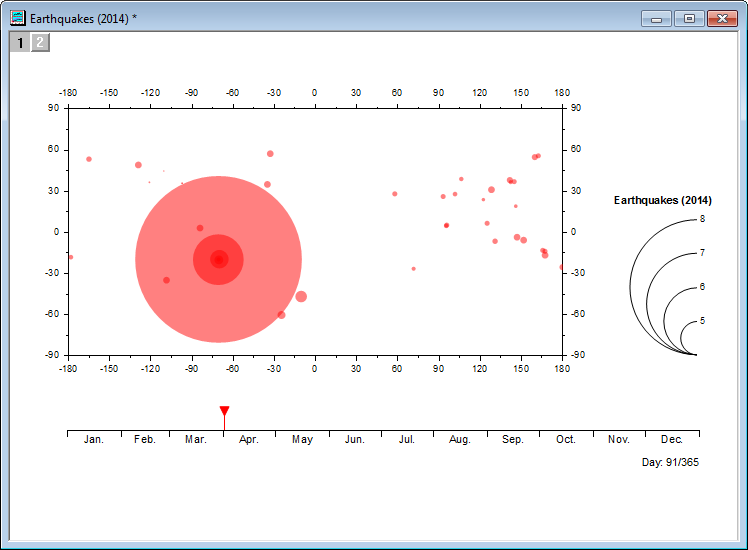 Activate the bubble graph showing earthquake data. Click the Maps Online icon to launch the App. 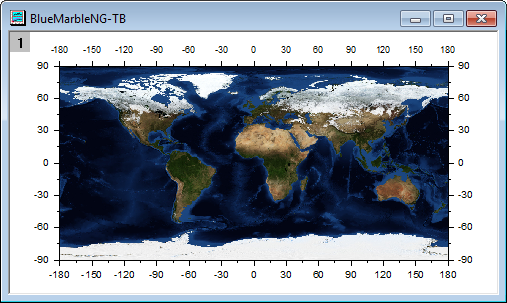 In the Maps Online dialog, select the BLUE MARBLE as Map Source and BlueMarbleNG-TB as Layers. Click the button in the Area group so that North = 90, South = -90, West = -180, East = 180. Click OK button to add the map to the layer. v 1.42: Option for updating service list. v 1.3: Custom GetMap URL. v 1.2: Fixed compiling problem due to codepage. 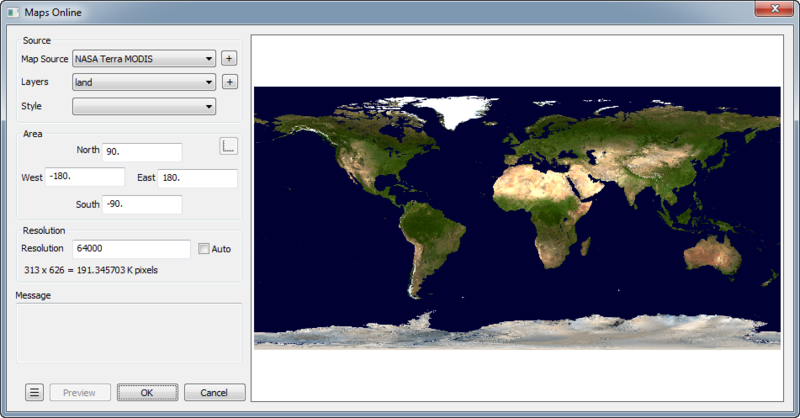 v 1.1: Import map to graph or matrix;.Set latitude and longitude from graph axis values. 01/17/2019 6092969 landmark cannot be used by this source..
09/01/2017 th_schroeder Why are versions for Origin 2016 no longer available?